In most cases, the form should be inserted into a host page, but the form can also be opened directly. 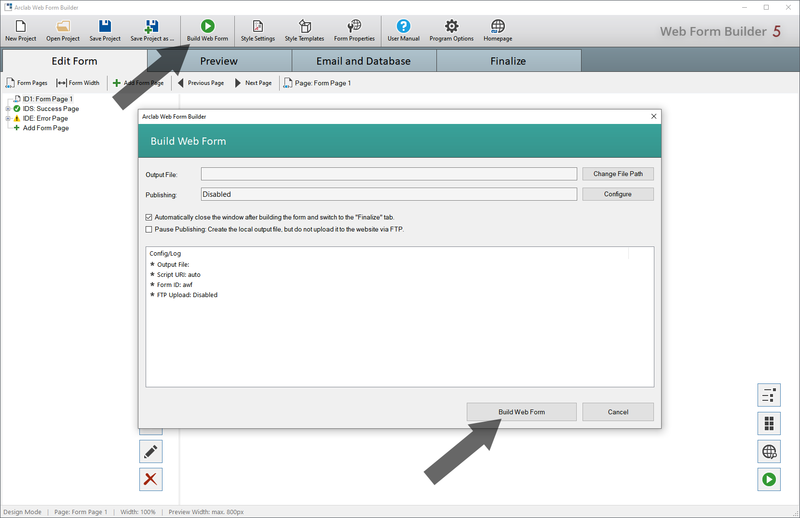 To open the form without using a host page, you can upload the php file created by the program to your web server and open the uploaded php file in the browser. The "direct open" is mainly used to test the form, but can come in handy in different situations or scenarios. (The option "Direct Open" was added in version 5.0.9 and can be enabled/disabled in "Web Integration" > "Settings"). Use a FTP client to upload the php file generated by the program to your website. Please note that the php file needs to be uploaded to your web server. You cannot open the php file on your local computer, because php is a scripting language, executed on the server. Use your web browser to open the uploaded form. Example: Open the uploaded file http://www.yourdomain.tld/webform.php in your web browser.